So on the same adventure that took me to burger spots Kincaid’s, Maple & Motor and Keller’s, I had the chance to have dinner with a friend on Monday night. He lives almost in Keller (no relation to the burger joint mentioned above, to my knowledge), just north of Fort Worth, and we were pretty set on going to Twisted Root in Roanoke. But, as things often do, plans changed on the drive. Roanoke is an old town that has, over the last several years, been converted into a dinner destination – the streets are lined with restaurants. 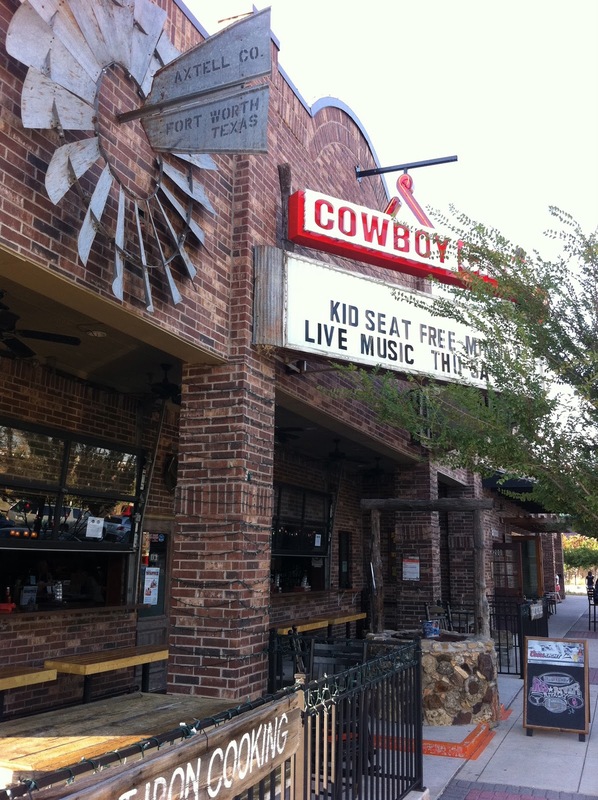 My friend lived in Amarillo for two decades, so he should know a few things about chicken-fried steak, and he said that the CFS at Cowboy Chow was as good as he had ever eaten. Off we went. We got there early and the restaurant was fairly empty. Looking over the menu was mostly a formality, as we were committed to the chicken-fried steak. If you grew up in the South, like I did, you likely aren’t familiar with chicken-fried steak, at least by that name. We called it country-fried steak. If you grew up in Austria or Germany, it is weiner schnitzel. Latin America has a version called milanesa. I just love Wikipedia – and it MUST be true. It is on the World Wide Web! Anyhow, as we looked at the menu, a couple of things caught our eye: an appetizer for him and another entree for me. 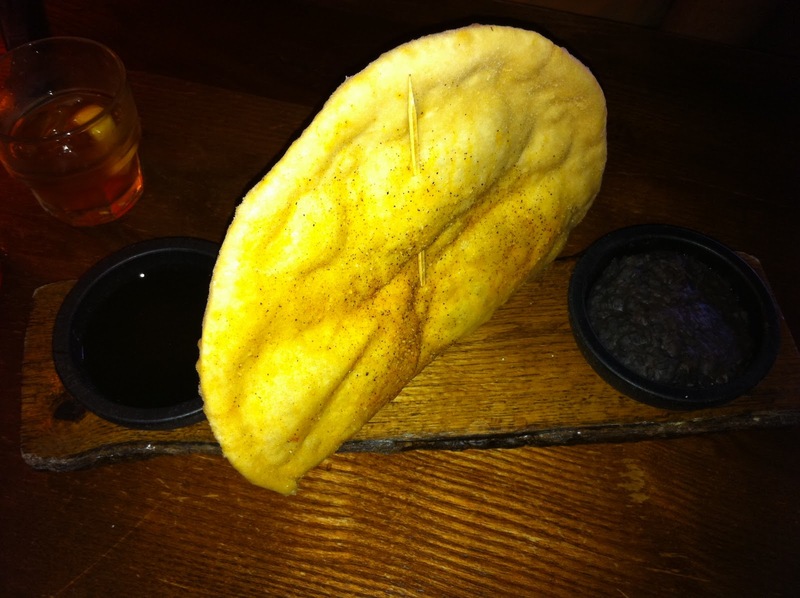 The appetizer was Navajo fry bread, with two dipping sauces – one of black beans and the other of honey. Once you realize that fry bread, be it Navajo, or Indian or whatever is nothing more than flat dough in oil, how could it NOT be good? The honey was a very tasty accoutrement. The “other’ entree that caught my eye was a “Tater Parfait”. Every since the encounter with the barbecue parfait at the Hickory Pig (one of the most interesting food encounters of the year for me), I’d come to realize that parfaits just aren’t for dessert. To simplify things, I ordered a tater parfait as an appetizer we could split. 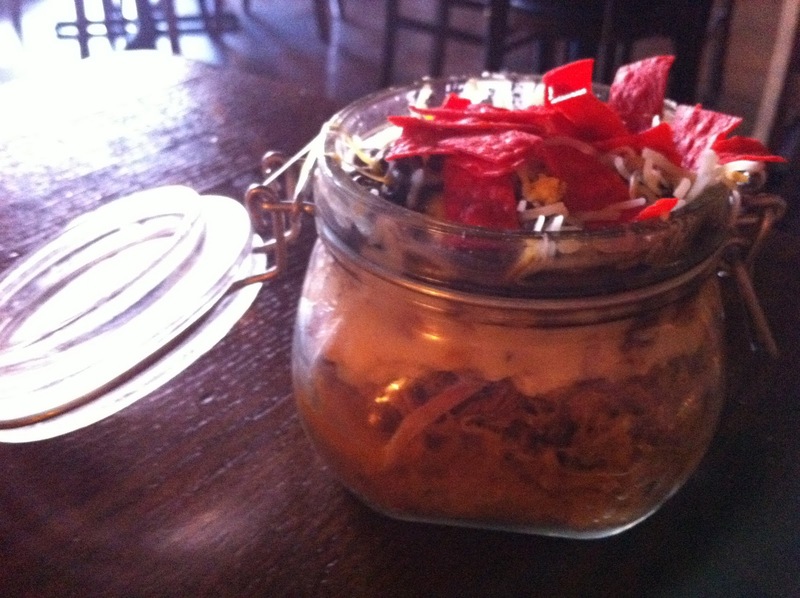 This tater parfait was a layer of brisket (which tasted more like my mom’s pot roast with brown gravy, little “smoke” flavor at all), covered with a layer of mashed potatoes, covered with cowboy caviar (black beans, tomatoes, peppers and onions), then covered in cheese and tortilla strips, all served in a Mason jar. Actually, it was much more interesting in concept than in actuality. It was good, but nowhere near great. On to the main course. 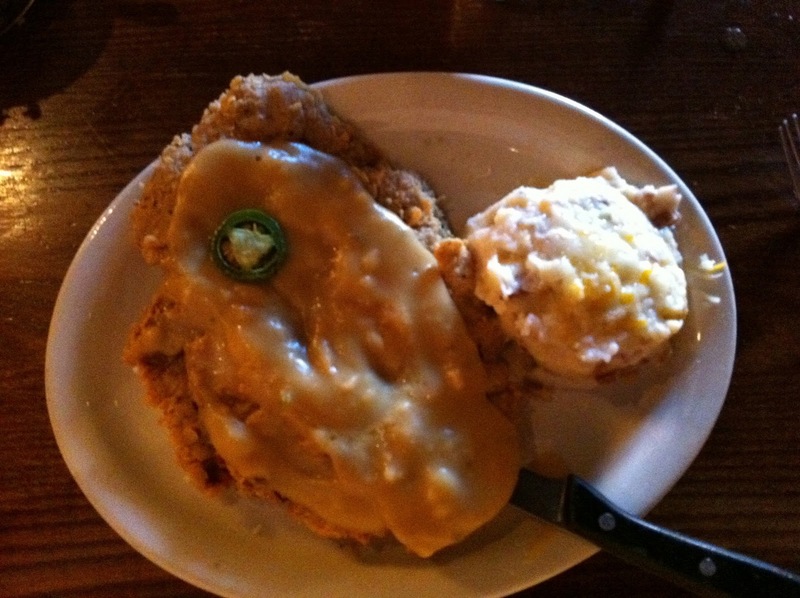 We both chose the chicken-fried steak with jalapeno gravy and mashed potatoes. It was good. I ate every bite. But I didn’t try to lick the plate. Next time I’m in Roanoke, I think that I’ll go across the streets to Babe’s and try their chicken-fried steak and fried chicken and see how it stacks up.